In addition to our regular gymnastics program for older children, these programs are designed with the younger child in mind. The Tiny Tots are 2 1/2 to 3 1/2 year olds, and the Tumble Bugs are 3 1/2 to 5 1/2 year olds. Smaller scaled equipmet and mats are introduced at this age along with locomotion skills, manipulation activities, music and gymnastics. These classes have been designed for ages 6 and up and developed for the beginning, intermediate, and advanced students. Basic gymnastic fundamentals and advanced techniques are taught during each class session. Each class is divided into groups and training on various events is handled by rotation. The training consists of tumbling skills, vault; beam; bars and trampoline work. Our Tumbling classes are for ages 6 and up. They are for the student that would like to focus more on their tumbling skills. We divide the students by abilities and work basics through advanced skills depending on the student’s level. Trampoline work is incorporated into the lesson plan as well. Tap is a very high energy style of dance where rhythm, style and technique are introduced. These classes coordinate variations of tap disciplines. Focus on developing stronger, more challenging tap sounds and movement of the feet with body, in center and across the floor combinations to various music of choice. Dancers are placed according to level of ability. The Center offers combination tap classes for ages 3 through 18 year olds. Body alignment and technique with aesthetic purity of line and grace to produce fluidity of movement. 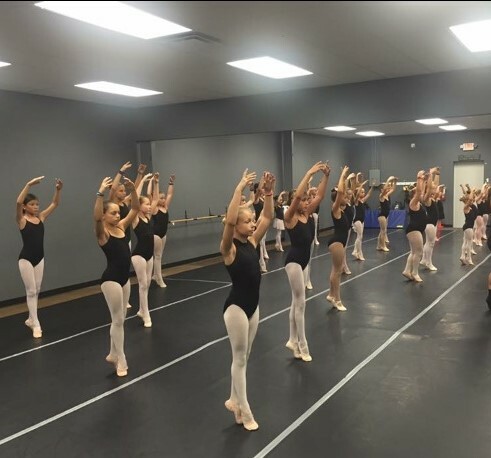 These classes offer a strong focus on traditional and current ballet disciplines in technique and movement to classical ballet music. Dancers will learn barre work, center floor work and across the floor combinations. Dancers will be placed in appropriate classes based on individual level of ability. We offer ballet in combination with jazz or tap classes and also straight ballet classes. Fast moving action packed style of dance using dynamic energy movement. 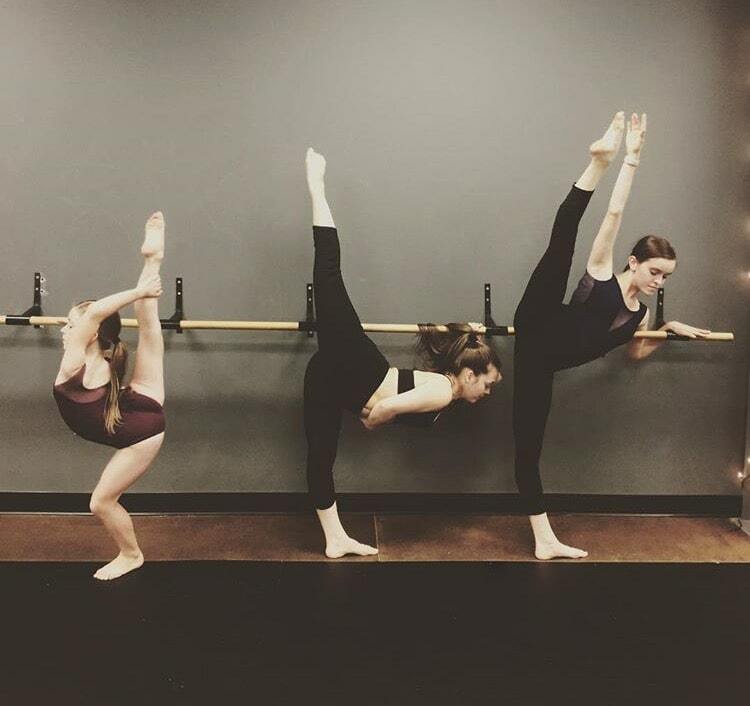 Jazz contributes to flexibility and coordination of the total body. The Center offers jazz in combination with tap or ballet classes. focus on the latest moves, attitudes and styles. emphasizes cheer motions, jumps, and a pom style dance routine. Team classes are for the more devoted athletes and are available only by teacher recommendation or try out. Our Center has several girls’ teams. Developmental Team; and Level 2-10 teams. Participation in the competitive program is a total year round commitment. Gymnasts on competitive teams are expected to continue classes throughout summer months as well. We compete under the USAG guidelines. By audition only, the dance team provides your child with utmost dance experience and fun. It involves more training, team atmosphere, competitions and responsibility. This team meets multiple times per week and trains every genre of dance. They will travel and compete in various competitions including nationals at the end of every season. This class is for students ages 18mo – 2.5 years old. Dancers will learn stretches, basic ballet and tap dance steps in a fun learning environment with Mom or Dad. This class is for students who are ready for a high energy combo class. Dancers will learn beginning ballet movements, basic rhythm, creative expression and basic dance vocabulary This class is FUN and is perfect for students to learn basic skills required for their future dancing years. Students will also learn the basics of classroom etiquette. Hip-Hop classes offer a relaxed and fun style with lots of attitude. Students will be able to express their own unique personalities and attitudes through this high energy dance style. Hip-Hop combines ultra funky movements to produce a fast-pace and rhythmic dance. We focus on the latest moves, attitudes, and styles.